From a Detroit-based hip-hop group collaborating with musicians in a studio in Madagascar to an L.A. rock band playing clubs in Minsk, Belarus, American Music Abroad (AMA) provides life-changing opportunities for U.S. bands to travel the globe. 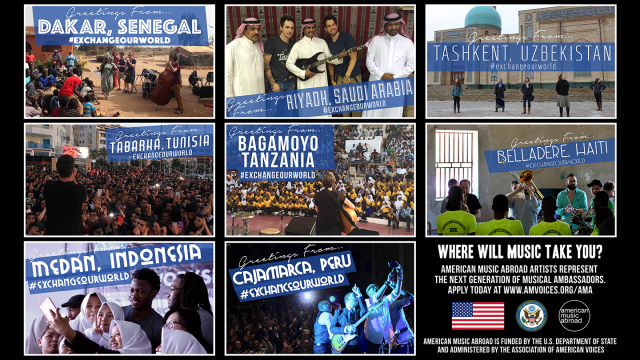 The program, an initiative of the United States Department of State’s Bureau of Educational and Cultural Affairs, sends American bands from all genres on fully-funded month-long tours, focusing on countries with little or no access to live American musical performances. 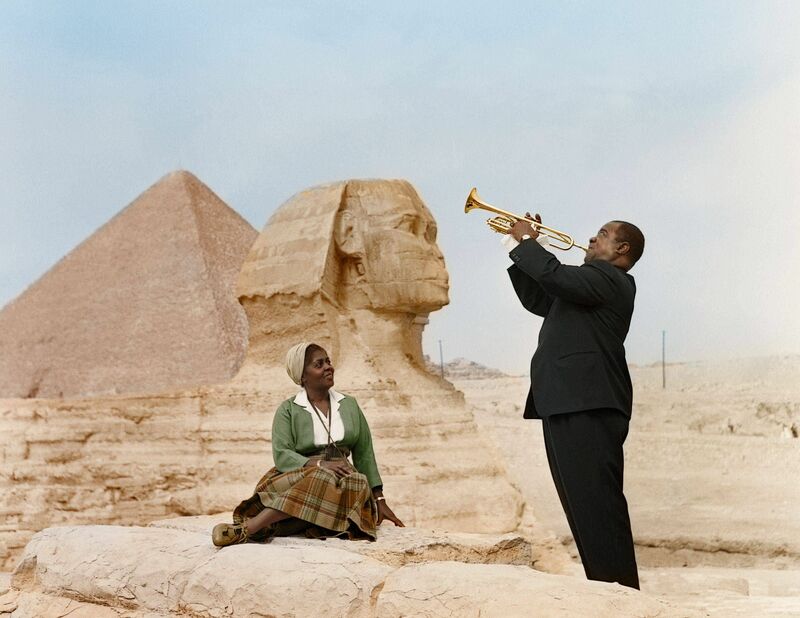 Since it began in the 1950s with Louis Armstrong’s tour of Africa and Eastern Europe, AMA has focused on Cultural Diplomacy, creating person-to-person connections through performances, workshops, and collaborations. Bands must contain between 3–5 members, and all members must be U.S. Citizens. We encourage groups in any characteristically American genre to apply, including those who span multiple genres or who may not find a genre that accurately describes their music. Sound like your thing? Applications are being accepted through January 21 for the September 2018-May 2019 Touring Season. Apply now for your chance to perform, educate, and collaborate with musicians around the globe.